For those of you who are writers, I think you’ll agree that writing a novel is challenging and book marketing is difficult, expensive, and time-consuming. The only thing harder than writing a novel is writing your second novel. If you’re writing a series, like I am, writing subsequent books in a series of fraught with challenges you didn’t face when writing your first book. continuity – now you not only have internal consistency to worry about, but you need to be consistent across books. characters – which characters survive to the second book and which get left behind? Which characters dominate the first book and should they also dominate the second … third. avoiding formulaic writing – too many authors find a formula that works with readers and they are afraid to deviate from that formula. Managing these elements effectively improves your book marketing since the content is an important element in book sales. So, let’s deal with these one at a time. But, first, let’s talk about why you might want to write in a series. If you’re an indie writer, or even a traditionally published author, readers get invested in your characters the same way you do. Writing in a series allows you to fulfill readers’ needs to see what happens next. But a bigger issue is that writing in a series magnifies your book marketing efforts because everything you do to market any book in the series enhances sales of all your books. When I launched book 2, Scars of the Past, a week or so ago, I discovered that I actually sold more of the first book in the series, than the second — possible because I’d reduced the price on the first book. I go to writers’ workshops run by the business team behind Michael J. Sullivan’s books (with over a million books sold) and she recommends that indie writers not worry too much about promotion until they have 3 books in the series. I follow that advice. Each book I get a little more involved with marketing, spend a little more money to generate book sales. After I launch Azure’s Revenge at the end of October, I plan a media blitz to drive sales, especially given the peak sales time is leading up to Christmas. I tend to write my books in parallel. Once the one book is in editing, I begin writing the next book or at a minimum writing an expanded outline. Sometimes (always) I find I need to make changes to the earlier book based on the storyline for the second. For instance, in Buried Ladies, the first in the Dark Web series, I had to go back and have my main character shot, because I wanted him to evince the damage in the second book. In Book 2, Scars of the Past, I struggled with an ending until I hit upon a perfect ending that sets up Book 3, Azure’s Revenge. Also, use something like Scribner or an old-fashioned tool like a notebook to keep track of personality traits, voice, and physical description so these are consistent across books. In addition to maintaining character continuity, you’ll need to determine which characters continue into the next book. You’ll also need to determine the prominence of your continuing characters and how they related to new characters you introduce. Some authors deal with this by having a single main character who dominates all their books. I choose to have different main characters in each book, although many of the main characters from the first book appear in subsequent books. I try to never have the main character of a book be new to the series. Just my personal preference and a way to deal with the formulaic writing evident with some authors who write in a series. I hate it. Maybe you love formulas, such as the one evident in some top writers such as John Gresham and James Patterson. That’s fine. For me, I find I lose interest in reading after a few books written in the same pattern. It’s much easier, I recognize, to write in a formula. Character A does something, Character B responds by XXXXXXX, in the end, XYZ happens. Fine. I prefer to write in a way that keeps readers guessing what’s gonna happen next. I already mention that I change up my characters and add a bunch unique to each book. Sure, in the end, they always catch the villian, but it’s never clear how or when it will happen. I like that. 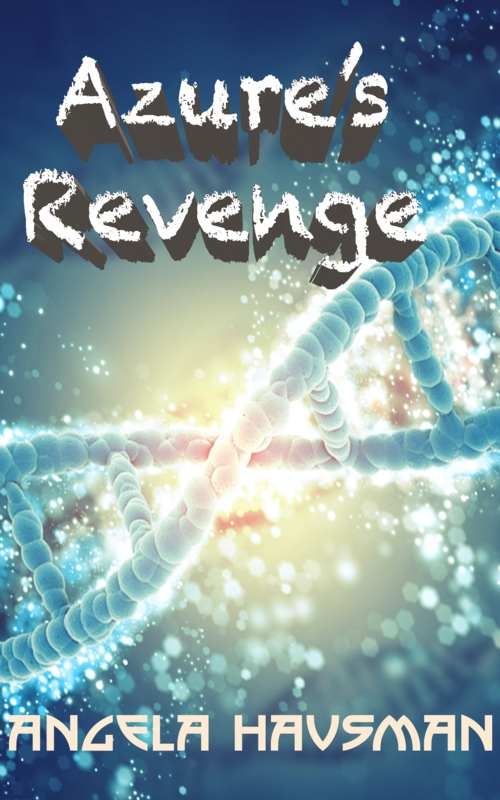 Azure’s Revenge is the 3rd book in the Dark Web series. It deals with hot topics of bioterrorism and includes a ton of research building on my masters in bacteriology. I hope you’ll enjoy reading it. You can get a free intro to the book by signing up for Radish, a new readers app for your mobile device. Using Radish, you’ll get to read Azure’s Revenge a chapter at a time using micro payments of less than a penny per chapter. I’ll start releasing chapters in the next couple of weeks and the first 3 chapters are always free. Download Radish now to get started.